Having a family vegetable garden requires a fair amount of work between planning, watering, and tending to your crops, but luckily you’ll reap some pretty fantastic rewards too. You can enjoy the fruits, or homegrown vegetables, of your labor with your family by cooking your crops and eating them together at mealtime. Even better, cooking, serving, and eating the vegetables that you and your family worked so hard to grow gives you a great opportunity to share new memories, creating a sweet video or snapping photos along the way. Read on for five fun ideas for enjoying your vegetables with your family. 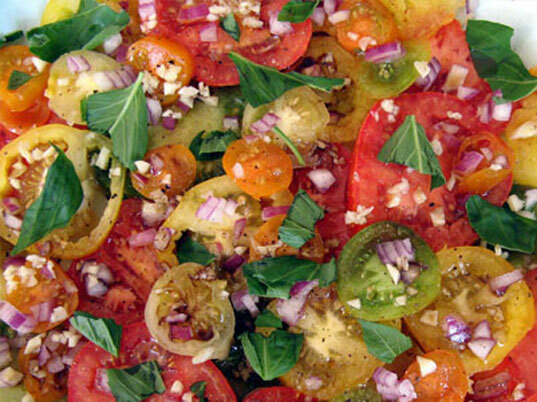 Turn your garden’s greatest hits into an edible art project of sorts. Ask your kids to choose several different colored vegetables to create a salad. Whether it’s a colorful array of heirloom tomatoes, tri-color sweet peppers, or a simple salad of lettuce, carrots, and tomatoes, the array of colors will spark excitement in your kids eyes and make for a fun meal to photograph. Take photos of each of the ingredients your kids pick from the garden, and of course the finished colorful product. If you need inspiration, try the recipe for Rainbow Salad from Sarah Poten, Education and Special Projects Coordinator of Greenmarket (CENYC). So your child doesn’t jump at the chance to eat his homegrown vegetables in a salad — we can’t all have veggie loving tots. So to stir up the excitement of your garden to table experience, whip up some vegetable smoothies she’s sure to love. 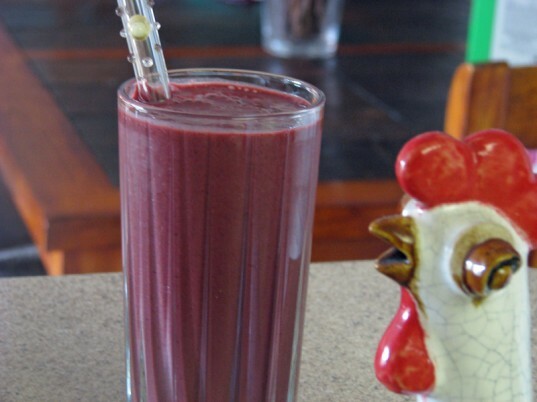 Besides, a naturally sweet and chilled smoothie is the perfect way to top off a warm spring or summer day. Try one of our seven favorite kid-approved vegetable smoothie recipes. You’d never imagine they contain veggies like peas and spinach by the taste! Don’t think that your garden is just for growing crisp summer vegetables — you can grow and harvest crops well into the fall including root vegetables. You can plant rutabagas in mid-May and radishes and turnips in early August for fall crops. 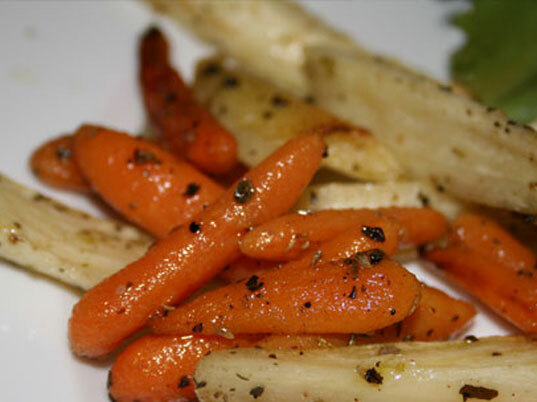 You can start carrots, parsnips and beets right away to enjoy veggies from summer into fall. 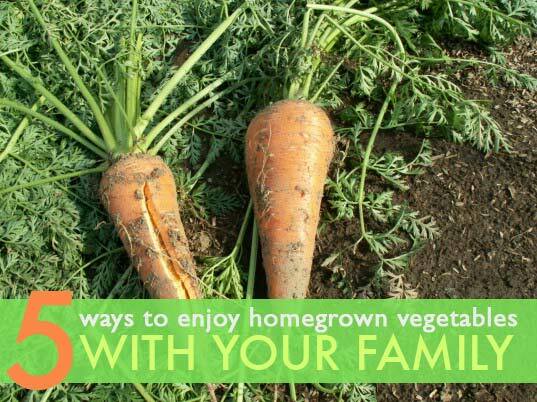 This way you’ll still be able to enjoy your homegrown vegetables at holiday time. Just imagine the sweet snapshots you’ll get of your family enjoying Thanksgiving oven roasted carrots and parsnips straight from the garden! From picking vegetables to enjoying every last bite, enjoying the fruits of your labor is well-worth documenting. You’ll love watching that video of your daughter, dressed in her cute gardening gear, struggling to pull a carrot out of the ground over and over again, reminiscing over images of your kids learning to cook a vegetable dish, or flipping back to the photo of the uncertain face your son makes the first time he tried a parsnip from your garden (ultimately ending in a smile, of course). So be sure to take plenty of pictures and videos as you and your family enjoy all the amazing tastes of your garden from picking to cooking. The vegetables that you grow in your garden are perfect for making homemade baby food. Get your toddlers and older kids to help make a green meal for Baby. Start by picking out a vegetable — carrots, sweet potatoes, peas, and so on. Then follow our guide to making homemade baby food. 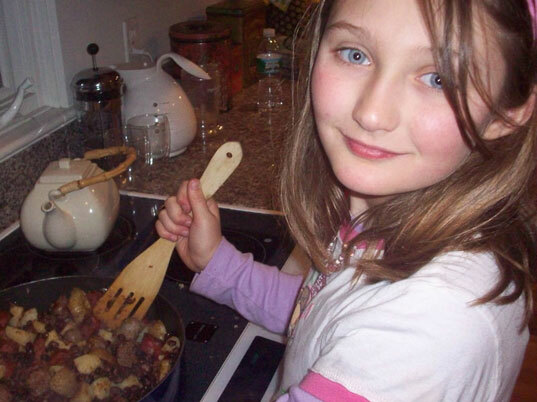 The process for making baby food is easy enough for kids to help with. 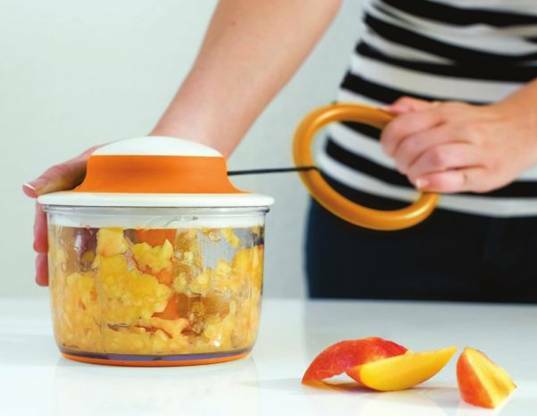 They can wash the veggies, you can cut them up, and then your kids can help to pulverize them in a food processor or a manual tool like the Mush. Then your kids will love helping to divvy up the baby food into storage containers so you can freeze plenty for Baby to eat for weeks or seasons to come. And a photo of your child feeding her little sister the baby food she made with her own two hands will be nothing short of adorable! This post made me SOOOOO hungry! Wonderful ideas; I'm going to try them! There's nothing better then growing your own food! Great post Julie - very informative! Great tips! Putting veggies in fruit smoothies is one of my favorite healthy snacks! Yum! Makes me hungry just reading this post! Thanks for all the great tips. Having a family vegetable garden requires a fair amount of work between planning, watering, and tending to your crops, but luckily you'll reap some pretty fantastic rewards too. You can enjoy the fruits, or homegrown vegetables, of your labor with your family by cooking your crops and eating them together at mealtime. Even better, cooking, serving, and eating the vegetables that you and your family worked so hard to grow gives you a great opportunity to share new memories, creating a sweet video or snapping photos along the way. Read on for five fun ideas for enjoying your vegetables with your family.